Wilton Park, the third of Beaconsfield’s great estates to the north east of the Old Town, got its name from the de Wheltons who leased the estate from the monks of Burnham Abbey in 1291. The de Wheltons may have come originally from Whilton in Northamptonshire, but this is conjectural. The estate passed through various families until 1624 when it was owned by Ralph Smythe who sold it to Anne Waller who also owned Hall Barn and Gregories. It remained in the hands of the Waller family for 78 years, till 1702, when they sold it to the Basill family. It was, by then, called Whilton Park. The Basills had a house built on the estate in the early eighteenth century, possibly on the site of a cell of Missenden Abbey and it was probably extant when Josias Du Pré [the accent was dropped by later members of the family] bought the estate sometime in the decade 1760 to 1770. The estate would remain in the Du Pre family for the next 170 years. Josias Du Pre had retired not long before from the service of the East India Company, during which he had become Governor of Madras. 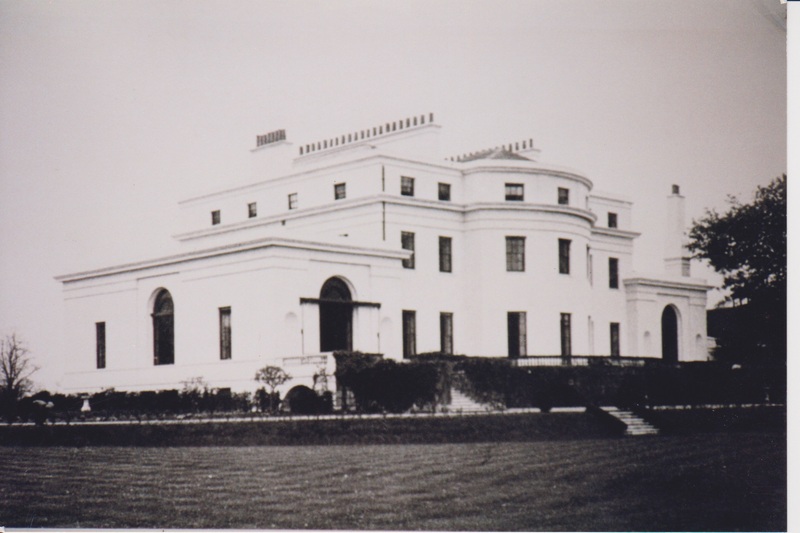 He brought with him an ample fortune, and began to build on his new estate a grand house (The White House) designed by Mr Jupp who had worked with him, as Surveyor, in the East India Company. 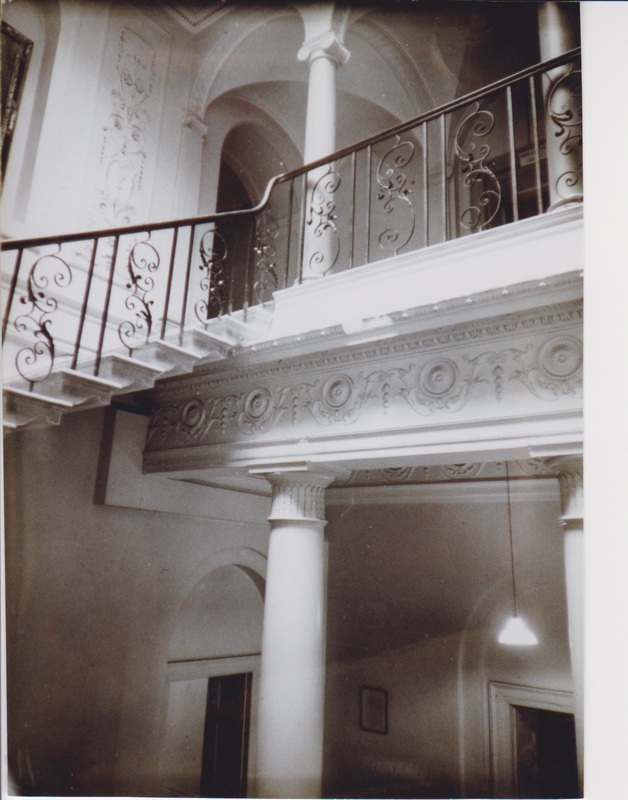 The house had not been entirely completed before the death of Josias in 1780, but was finished by his widow, Rebecca. Lipscombe, in his History and Antiquities of the County of Buckinghamshire, published in 1847, is very derogatory, referring to Wilton Park as ‘… an inferior manor, situated within the Parish and Manor of Beaconsfield, but paying suit and service to the courts of the Paramount Manor …’. [i.e. Hall Barn]. Josias was succeeded by his two year old son James, who was to hold Wilton Park until 1870, a period of ninety years. It was James who bought Gregories from the widow of Edmund Burke, and also changed the route from Seer Green to London End, which passed in front of the house, by constructing Potkiln Lane, a completely new road. This accounts for the road being straight for most of its 1.5km length, unlike many local roads derived from country lanes. James was succeeded by his son, Caledon George Du Pre, MP, who was squire from 1870 to 1886, and has his name remembered in Caledon Road. Caledon Du Pre had no male progeny, so the estate passed to his great nephew William Baring Du Pre, at the age of eleven. William in fact did not stay long at Wilton Park and let the house from around 1903 onwards. He pursued a military career, travelling extensively and serving in the Boer War and the First World War. He cashed in on the development bought by the railway and as well as giving his name to Baring Road, where building plots were sold from 1905, in 1907 he sold 293 acres of Gregories Farm for development. William died in 1946 leaving two daughters and the ownership of Wilton Park went to a nephew, subject to the interests of William’s daughters. 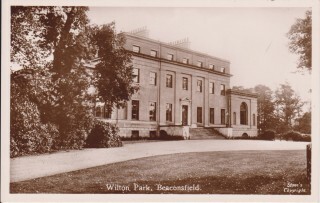 By this time, Wilton Park, like many other estates had been leased to the War Office. During the war it was used as a reception and interrogation centre for high-ranking German offices. After the war it became the Army College of Military Education. 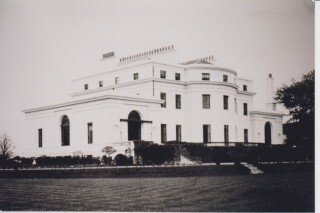 In 1950 negotiations for the purchase of part of the estate by the War Department were put in hand resulting, in 1967-8 in the demolition of the White House and the construction of army buildings including the tower block. •	The Albert Hall. In partnership with the Lucas Brothers. When the scaffolding, supporting the dome during construction, was removed, the centre of the dome only dropped by 5 mm. •	The Original Aswan Dam 1898-1902. Sir John Aird’s main residence was at 22 Hyde Park Terrace, London where he had had a large Art collection including two major paintings by Sir Lawrence Alma Tadema. He was Mayor of Paddington and MP for Paddington. He died in 1911 and is buried in St Annes Church, Dropmore. I served at Wilton Park in 1964 to improve my academic status before going to Sandhurst, along with some fifty other y0ung soldiers from almost every regiment in the army. We combined classroom studies with the normal army routine of drill and PT, and came under the control of Guards NCOs. There was an element of Gurkhas as well, as there was a language school on the camp. Very happy days. I think you need to complete the story of Wilton Park to include the use of the house and grounds as an Army Language School where hundreds of Afghans and Brits learnt to speak each other’s languages; and its subsequent disposal to Inland Homes in 2012 for housing development. The latter resulted in a very active campaign by The Beaconsfield Society and BOTRA to ensure the town benefitted in some way from the influx of some 350 homes in the neigbourhood. Today (May 2016) these plans are still being formulated, but the access road from Pyebush Roundabout to the site has almost been completed.